It is important to know if your headache is actually a migraine. However, differentiating the two is not very easy. Essentially, Migraines are painful headaches that are often accompanied by other symptoms like nausea, vomiting and sometimes sensitivity to light. There are other types of headaches that can produce different symptoms. Distinguishing headaches can be done by determining the particular cause. Headaches are classified as primary headaches and secondary headaches. A Migraine is a disabling and recurring headache that usually occurs on one side of the head only. It is a type of primary headache along with cluster and tension headaches. The most common type of headaches is called tension-type headaches that are often mild, dull pressure that aren’t accompanied by other symptoms. Cluster headaches are less common than migraines or tension headaches. It usually brings severe pain often described as “stabbing” pain right behind an eye and it may be accompanied by other symptoms like redness and nasal congestion. Secondary headaches are quite rare but are considered more serious compared to primary headaches. The reason for this is because this type of headache is usually caused by a serious health problem or underlying condition like tumors, brain aneurysms, spinal fluid problems and inflammatory diseases. In treating secondary headaches, the underlying condition needs to be diagnosed and treated which automatically relieves the headache. While secondary headaches are primarily caused by another health problem or an underlying condition, primary headaches are triggered by a variety of factors like prolonged tension and stress. Virtually everyone suffers from this type of headache at some time in their lives. Psychological factors can also cause primary headaches. This includes factors like anxiety, fatigue and stress. Mechanical factors can also cause primary headaches like neck strain and overexertion in physical activities. For migraines, the primary cause is still not known although there are recognized triggers like hormonal changes, certain foods, beverages, strong odors and lack of sleep. In order to properly treat headaches and migraines, it is crucial to have a correct diagnosis. It will start with questions regarding the history of headaches including the symptoms of the patient. The symptoms and characteristics of the headaches should be as complete as possible for an accurate diagnosis. Physical and neurological exams can also be used to diagnose headaches. The doctor will watch out of signs and symptoms of any illness that may be causing the headaches such as infection, fever, abnormalities in breathing, blood pressure problems, changes in personality, seizures, etc. Neurological tests focus on ruling out diseases related to the brain or nerves that may be causing the headaches and migraines. Some tests search for a physical or structural abnormality in the brain including tumors, abscess, haemorrhage, bacterial/viral meningitis, hydrocephalus, blood clots, etc. A psychological evaluation may also be done by a psychologist to identify possible triggers for the headaches and migraines. Blood chemistry and urinalysis – these are for determining medical conditions like infections, diabetes and thyroid problems that may be the cause of the headaches. CT scan – this is for ruling out other conditions that may be causing the problem. MRI – this is recommended if the patient is getting headaches daily or almost daily. It is used to evaluate certain parts of the brain that are not easily seen with CT scans including the spine and back portion of the brain. 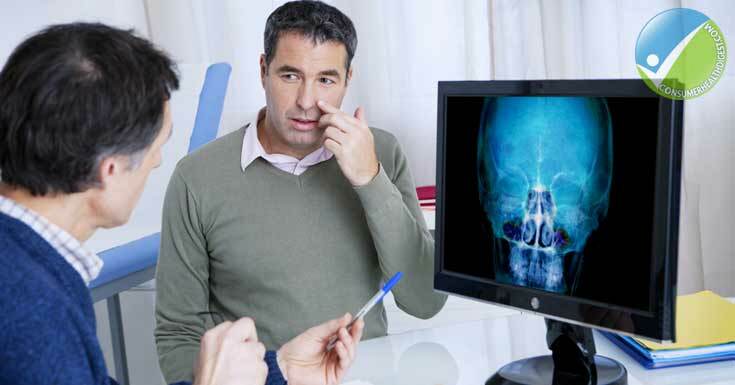 Sinus X-ray – this is if there are symptoms that are indicative of sinus problems. 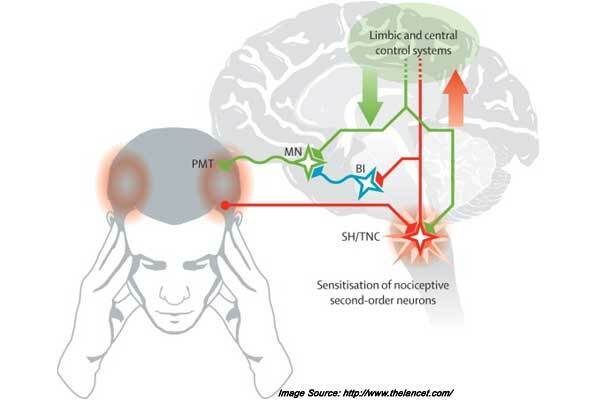 EEG – although not a standard part of headache evaluation, it may be performed when seizures accompany the headaches. Eye exam – an eye pressure test is performed by an ophthalmologist to rule out glaucoma or pressure on the optic nerves. Spinal tap – this is for looking for conditions like infections of the spinal cord and brain. In addition, alternative therapies can also be used for reducing stress and preventing headaches or relieving them. The therapies include meditation, relaxation training, cognitive behavioural therapy, massages and biofeedback. It is very important to determine the particular kind of headache and get a correct diagnosis. This way, the health care provider will be able to give the best treatment to relieve the headache. Thus, the first step is to consult your health care provider especially if you frequently suffer from headaches. Jackson JL, Shimeall W, Sessums L, et al. . "Tricyclic antidepressants and headaches: systematic review and meta-analysis"
Verhagen AP, Damen L, Berger MY, Passchier J, Koes BW . "Lack of benefit for prophylactic drugs of tension-type headache in adults: a systematic review".